KIT KAT TV ad • KIT KAT commercial • However you break, have a KITKAT • KIT KAT However you break, have a KITKAT TV ad • No matter how you choose to break, KITKAT doesn’t want to tell you it can be better. But it can be. Trust us. 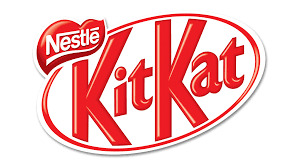 Abancommercials Canada invites you to enjoy the latest video KIT KAT commercial, titled "However you break, have a KITKAT ", this announcement made in 2017, and was published in this portal on 2017-07-04, totally open to the public and does not require subscriptions, It is to emphasize that all the rights of this video are property of KIT KAT therefore its content is protected by the copyright, The objective of Abancommercials is that the public enjoy of the preferred ads and to be a database where the public enjoys Of advertisements that the brands make to promote their products and services, if you want to enjoy other KIT KAT commercials click here, or if you want to see other commercials related you can click here, At the moment we do not have more information of the Which we show in this description so if you want to know information about the name of the actor, actress, model or name of the song that appears in this 2017 KIT KAT Commercial, must Contact directly with the brand.